Is your cat having fun indoors? 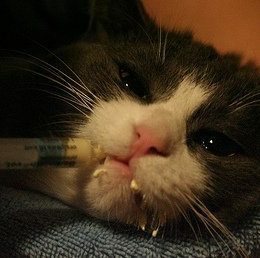 While most people agree that cats are safe indoors, one should not force a cat to live inside four walls without providing a stimulating environment. Cats need the outdoors, and, if the outdoors has become dangerous, the best part of it must come inside. In this article you are going to learn how to make your cat’s surroundings more appealing, fun, stimulating, and a closer match to life outdoors. 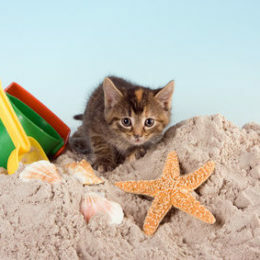 Keeping your cat indoors may seem an impossible task if you are like most cat owners. When you go out, when you come home, or when you try to let fresh air in, your cat is already there and scoots right out at the first possibility. In some cases, you may not even notice him. Isn’t it dumb to walk a cat on a leash? 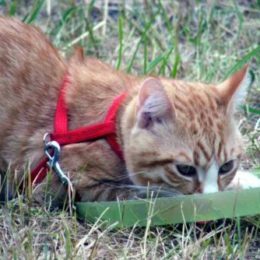 Depending on the part of the world, some ten to 20 years ago, seeing a cat on a leash would undoubtedly cause an amaze and videos uploaded on YouTube (if there were one back then) with a title ‘Dogcat’ or similar. Proper use of a litter box is one of the most important parts of indoor cat’s lives. Inadequate training may lead to house soiling, which is number one reason for cats being left at animal shelter. 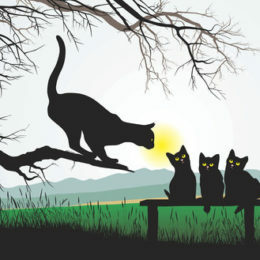 It’s a sad thing, if we know, litter training is actually very easy, but at what age should kitten start litter training?